Liverpool FC should “fear” Callum Hudson-Odoi ahead of their clash with Chelsea FC at Anfield on Sunday lunchtime. The Reds are preparing to welcome the west London side to Anfield as they look to try and keep their bid to win the Premier League title on track. Liverpool FC are currently two points clear at the top of the Premier League table, but they have played a game less than Manchester City, who are second. Hudson-Odoi has been earning rave reviews for his performances for Chelsea FC in recent weeks and he was rested for the midweek clash against Slavia Prague on Thursday night. 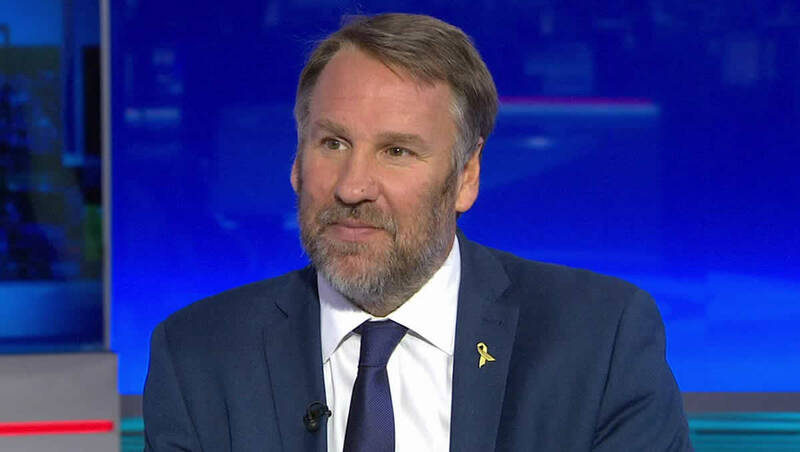 And former Arsenal star Merson feels that Hudson-Odoi could end up being the key player for Chelsea FC when they take on Jurgen Klopp’s league leaders at Anfield this weekend. Writing in his column for the Daily Star, Merson said: “Eden Hazard is not the one Liverpool should fear on Sunday – it’s Callum Hudson-Odoi. “Hazard was on fire against West Ham and scored a worldy. But will he even play against Liverpool? “He didn’t play at Cardiff and the Europa League has to be more important to Maurizio Sarri. “Sarri has never won anything and could be sacked in the summer. He’ll want that trophy on his CV. “But even if he doesn’t rest Hazard at Anfield, Hudson-Odoi is a bigger threat to Liverpool. “They will know all about Hazard and if he plays they will make sure he doesn’t get the ball. “But they haven’t faced Hudson-Odoi before. They won’t know him as well and they will try and play him one v one. Good luck with that. “He’s at his most dangerous when defenders are isolated against him and he can run at them. “That’s where the problem will be for Liverpool. Their front three don’t come back to help. “I like Hudson-Odoi. There are lots of stars in that team but he’s not afraid to play his game. “He’s only 18 but he tries to beat his man and then do a trick. That’s confidence. Hudson-Odoi made his full Premier League debut in the 3-0 win over Brighton at Stamford Bridge in recent weeks. He will be hoping to start for the Blues when they make the trip to Anfield this weekend looking for a result to keep their bid for Champions League qualification on track.